© Anna Johnson/AP Grand Canyon National Park in Arizona became a part of the National Park Service 100 years ago this month. The canyon itself is millions of years old. Native peoples knew it by several names, but it’s the one that explorer John Wesley Powell gave it in 1869 that stuck: the Grand Canyon. Though not the world’s longest or deepest canyon, it is grand. Some 6 million tourists descend on northern Arizona each year for the stunning views from its north and south rims, 18 miles apart at the widest point. 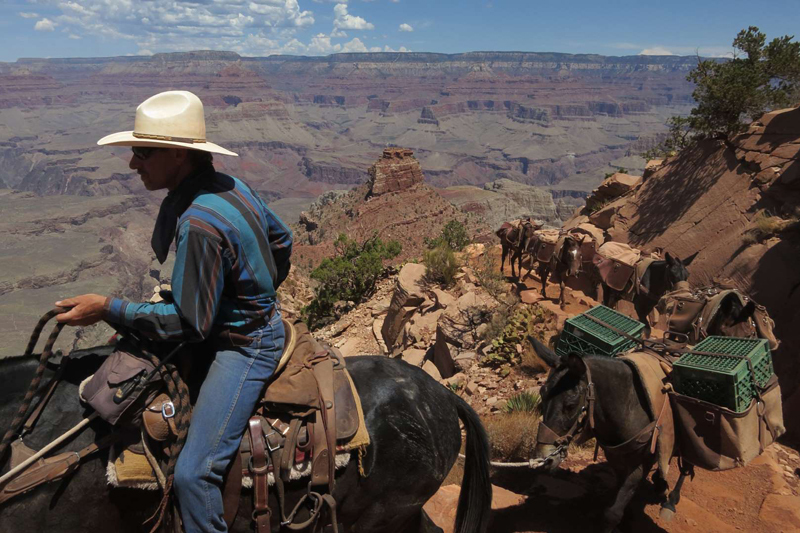 More adventurous visitors hike or ride mules to the canyon floor a mile below, or raft down the Colorado River, whose currents carved the canyon millions of years ago. Humans arrived in the area 12,000 years ago, and some native tribes live there today. 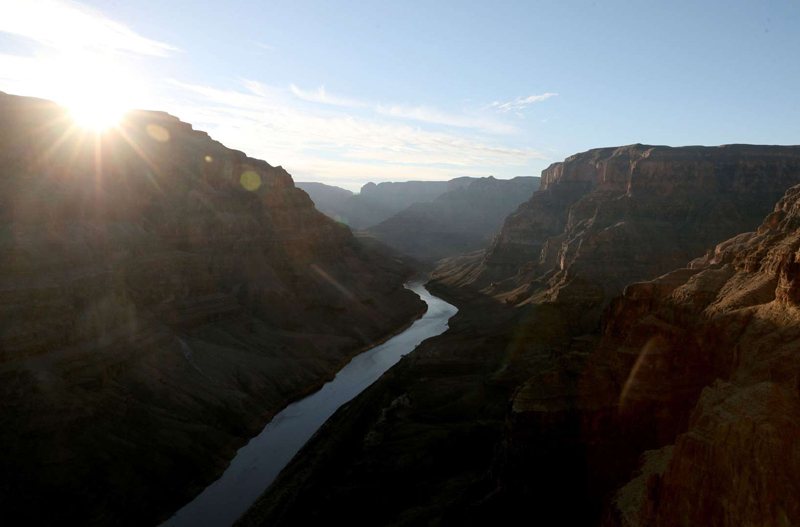 In February 1919 the Grand Canyon became one of our earliest national parks. It’s also one of the largest, about the size of Delaware. The Colorado River winds through it for 277 miles, longer than the distance between Washington, D.C., and New York City. As one of the seven natural wonders of the world, the canyon is a huge outdoor lab for geologists (who study rocks) and others interested in studying its past and protecting its future. © Sean Gallup/Getty Images Visitors to the park often hike or ride a mule train up from the bottom of the canyon. 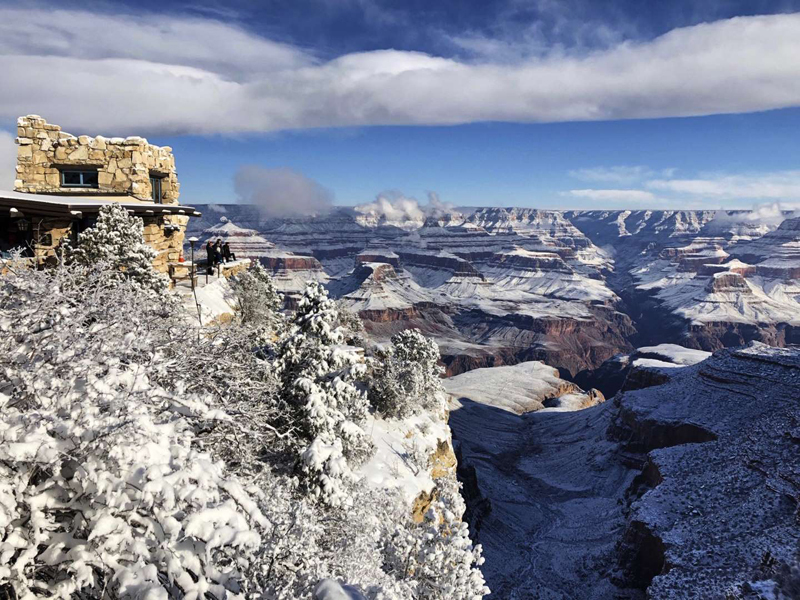 We know that Grand Canyon National Park is turning 100, but we don’t know the age of the canyon itself. Its oldest rocks, at the bottom, are 1.8 billion years old. Its newest rock layer dates back about 270 million years. Until recently, scientists thought that, 5 million to 6 million years ago, after the Earth’s crust had shifted higher, water and ice began cutting through the rock, creating the deep gash we know as the Grand Canyon. But newer research says some of the canyon could go back 70 million years, starting as smaller cracks in Earth’s crust. The oldest human artifacts found in the park are about 12,000 years old. These include pottery shards and stone tools. In 2007, an intact pot was unearthed. Toylike figures of sheep and deer have been found in some caves. Each animal is “folded” from a single willow twig sliced down the middle to the base. Scientists think these split-twig animals were used up to 4,000 years ago as offerings to assure a successful hunt. © NPS/ A desert bighorn ram is seen in the park. The species are the park’s largest native animals. About 90 mammal species and 375 bird species live in the park. The park’s 1.2 million acres are home to nearly 375 bird species, from the tiny hummingbird to the California condor, the largest bird in North America. There are about 90 species of mammals, 60 species of reptiles and amphibians, and 10 endangered or threatened species. Six types of rattlesnakes slither through the canyon. One of them, the pink rattlesnake, is found nowhere else. 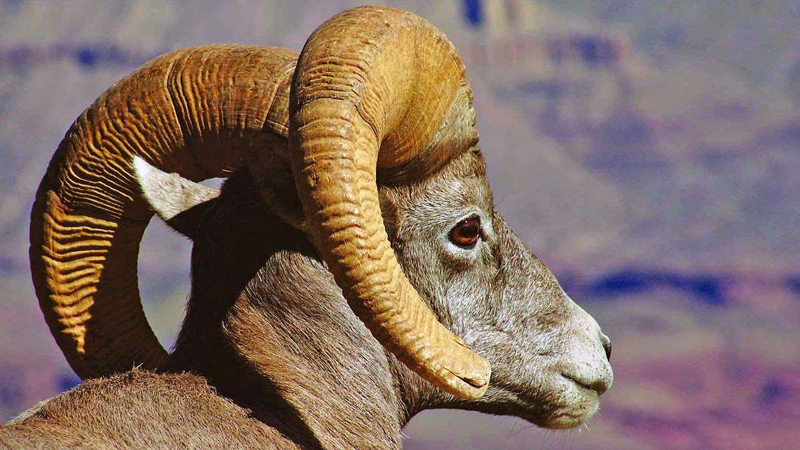 Desert bighorn sheep are the park’s largest natives. They can weigh up to 300 pounds but scamper over the rocks like gymnasts on the balance beam. The canyon is also the country’s most diverse bat habitat. Its 22 species include little brown bats that eat 1,200 insects an hour. There are also 1,750 plant species on terrain ranging from desert to forest. One plant, the sentry milk-vetch, grows in a few narrow bands along the canyon’s rim and nowhere else on Earth. Fences keep visitors from trampling the endangered herb. That’s just one way officials are working to preserve this natural treasure for future generations. © Justin Sullivan/Getty Images The Colorado River winds its way along the West Rim of the Grand Canyon in the Hualapai Indian Reservation.